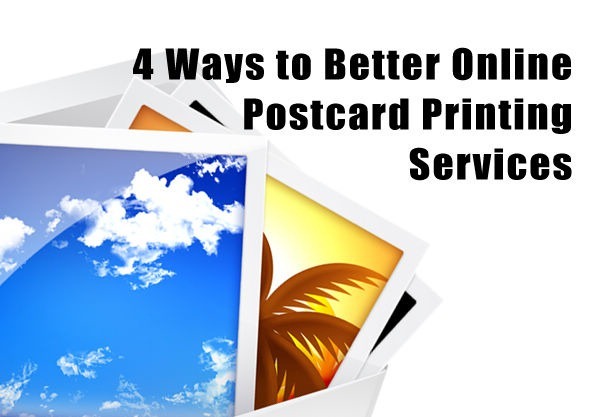 4 Ways to Better Online Postcard Printing Services | Printing | All Free Web Resources for Designer - Web Design Hot! Despite the prevalence of using online marketing in today’s business world, there are some forms of offline marketing that have remained popular. One of those is the use of postcards. Postcard printing continues to be an indispensable and effective mode of advertising businesses. Online marketing may be a new frontier but offline programs like postcards have been used for years with great success. Postcard printing is an essential marketing strategy for businesses. When printing your postcards in the past it was important to use color sparingly because it was extremely expensive and cost prohibitive. However, nowadays, full color printing costs less than black and white printing did 10 years ago. It is much easier for businesses to decide to use this method of advertising because it does not cost an arm and a leg anymore, and even the smallest of businesses can use postcards to promote their business. Printing online is very convenient and you can get products less expensive than your local providers. There are five basic needs when printing your postcards. There are some secrets that businesses need to know about postcard printing. Following these tips will help ensure that the postcards to be sent will advertise the business in the best possible way. A good postcard resolution is 300 pi. If you aren’t printing in 300dpi your images will look blurry and unprofessional. Don’t use images off of the Internet because they will be blurry and they are also copyrighted. The exception to this rule is using online royalty free sites that have high-resolution pictures for purchase. Did you know that postcard sizes receive different postage rates? Only a 4″x6″ is considered a postcard by the postal service. All other sizes are considered a “letter” and the postage rate is almost 50% more! Once, a customer spent an additional $9000 just because his postcard was 1/8th too big. It’s important to know that your postcard size is before you are committed to print. Postcard paper stock should be thick and rigid. It’s an important to express high quality in your printing products. If you were to send a flimsy card to your customers what does that say about your business? The other options you have are coating. You can either print your postcard with a UV glossy coating, or an aqueous coating. UV coating is slick and cannot be written on. Postcard printing with aqueous coating is better for the environment. Your turnaround is always something to take into consideration when purchasing printing. Many printing companies will give you the opportunity to save money by printing with a slower turnaround, and many will have an additional price for rush service. Turnaround can take as little as long as 10 days or as fast as same day. Make sure you plan ahead when printing postcards online. When you wait until the last moment, you risk your printing not being completed on time, or mistakes made. Always give your print company an extra day in case they have equipment breakdown. This entry was posted on Friday, August 3rd, 2012 at 9:16 am and is filed under Printing . You can follow any responses to this entry through the RSS 2.0 feed. You can leave a response, or trackback from your own site.